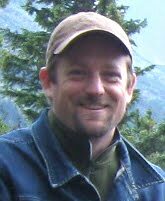 Based in Portland Oregon, Jason specializes in search marketing and web analytics. He formed NWSEM in 2008 as a consultancy to help make measurement understandable for clients who want to create a culture of measurement within their organizations. Beginning as a community moderator with WebMD in 1999, Jason has worked in both the agency and client worlds as a developer, webmaster, SEO, project manager, web strategist, information architect, and general internet marketing specialist. He has managed paid search programs large and small and has a special interest in data visualization, dashboard design and reporting in general. For the past eight years, Jason has focused primarily on search and analytics to track user behavior and online marketing on websites, especially with Google Analytics, Clicktracks, Webtrends, and Omniture. He helps clients deliver real business results based on honest numbers. Jason is certified in Google Analytics, a Webtrends Certified Professional Analyst, and a professional member of the Web Analytics Association. Some other websites I have provided search and analytics services for. Agencies who do not have these skills in-house or need an extra level of expertise.